There’s good and bad news for Hulu users, and it all depends what tier you’re on. For those on the lowest tier, watching shows with ads, Hulu is getting cheaper. However, for anyone subscribed to Hulu + Live TV, the price is increasing instead. Hulu is dropping the price of its entry level streaming tier from $7.99/month down to $5.99/month. This tier is supported by ads, hence the low asking price. Hulu is promising not to increase the number of ads to make up any shortfall from the drop in price. Thanks @hulu for lowering my monthly bill by $2! You rock. Hulu (No Ads), which removes the ads, will remain at its current price of $11.99/month. 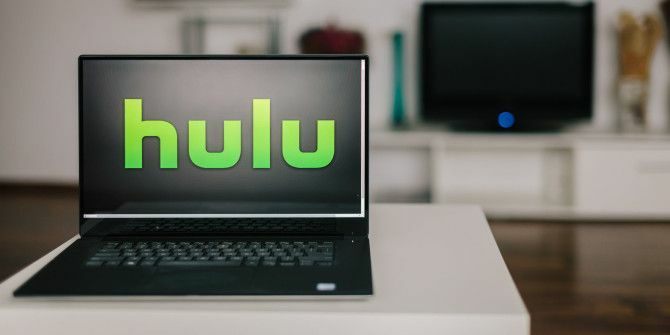 However, Hulu + Live TV, which adds live news, sports, and entertainment channels to the mix, is increasing in price from $39.99/month to $44.99/month. In its press release announcing the price changes, Hulu spells out how its streaming service has improved over the last 12 months. In terms of its lowest tier, Hulu now boasts 85,000 TV episodes, and thousands of movies, some of which are Hulu Originals. Hulu also boasts of having added a dozen popular live TV channels to Hulu with Live TV. This includes The CW, Discovery Channel, TLC, Animal Planet, and ABC News. It’s important to note, however, that Hulu has competition in this area, especially from YouTube TV Why YouTube TV Is the Best Cable Replacement for Cord Cutters Why YouTube TV Is the Best Cable Replacement for Cord Cutters YouTube TV is one of the many option available to cord cutters now. Here's why YouTube TV is better than its competitors. Read More . For new Hulu subscribers, this new pricing will go into effect on February 26. It’s the same date for existing subscribers too, who will see the price they pay go up or down (depending on what tier they’re on) the first time they’re billed after February 26. This comes just days after Netflix put its prices up again Netflix Hikes Subscription Prices... Again Netflix Hikes Subscription Prices... Again Netflix is raising its prices again, and this time it's the biggest price hike in Netflix's history. Read More . We’re guessing the timing isn’t coincidental, and that Hulu announced this now for maximum impact. The problem is that, Hulu is only available in the U.S. and Japan, so the rest of the world will stick with Netflix. Explore more about: Hulu, Media Streaming, .